The Cuban Government requires that all US Citizens traveling to Cuba to obtain a Cuban Visa (also known as Tourist Card) prior the arrival to Cuba. This Visa will be valid for a single entry to the country and allows the traveler to stay in Cuba for 30 days. WTC will take care of securing your Cuban Visa as part of the Flight Package. *The Cuban visa is a two-part card and Cuban immigration officials will keep one half upon your arrival in Cuba. All guests will surrender the second half upon departure from the Island. KEEP YOUR CUBAN VISA IN A SAFE PLACE WITH YOU THROUGHOUT YOUR TRIP SO THAT YOU WILL STILL HAVE IT WITH YOU BEFORE DEPARTING THE ISLAND. *Special Visas for reporters- If you are a reporter or journalist traveling with WTC for journalism purposes, you will have to apply for a SPECIAL PRESS VISA in order to enter the island as a US correspondent. Please contact us for more information on this type of Visa. Allow extra time for processing in some cases. If you are a Cuban Born traveler you need to know that the Cuban Government imposes different requirements than for others, and that such a person obtaining a Cuban visa, if needed, can take up to 12 weeks. We suggest that you contact WTC or a Flight Charter Company directly to completely inform yourself prior to booking your trip. WTC is not responsible for any delays or denial in the issuance of a Cuban Visa, If so required. *ALL CUBAN BORN TRAVELERS THAT LEFT THE ISLAND BEFORE DECEMBER 30, 1970 MUST APPLY FOR A (P-11) VISA AND WILL BE ABLE TO TRAVEL WITH AN AMERICAN PASSPORT. THE APPLICATION PROCESS WILL REQUIRE THAT YOU PROVIDE 2 PASSPORT PHOTOS, COMPLETE AN APPLICATION AND PROOF THAT YOU LEFT THE ISLAND BEFORE DECEMBER 30, 1970- SEPARATE FEES WILL APPLY. CONTACT OUR AGENT FOR ALL DETAILS. OUR TOUR. & MUST CONTAIN 2 EMPTY PAGES. Are responsible for understanding the limitations of such and regarding the re-entry limitations if any when returning back to the US. WTC will not be held liable for any traveler who is refused service by the Carrier/ Charter Company or the entry into Cuba by the Cuban government due to a restricted Passport, Green card or US Visa. 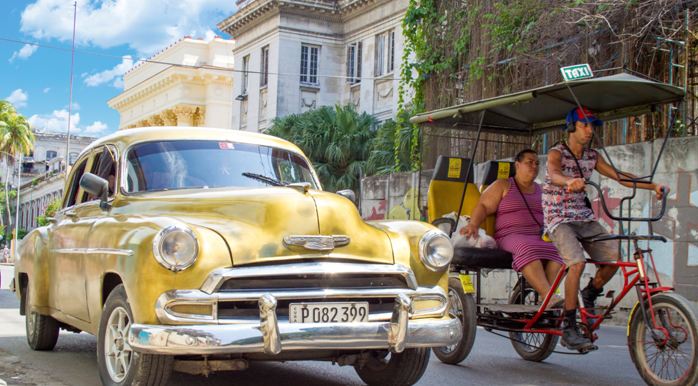 If a traveler is refused entry into Cuba all applicable penalties will apply. See our penalties section for more details. 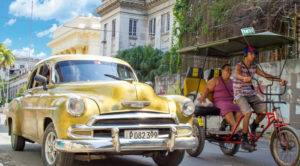 As a traveler you are solely responsible for having on you all proper documentation to enter Cuba as well as to re-enter the US, in addition to proper documentation to travel via a third country (when it is applicable) to Cuba.